One of the most consistent yield responses I’ve seen in my time at UT is when a foliar insecticide application is made to wheat at this time of year (late January – late February). An insecticide application, specifically a pyrethroid insecticide, has increased yield by an average of over 5 bushels/acre. Thus, this application has become a fairly routine recommendation. Insecticides can be co-applied with a herbicide orfertilizer application. The level of aphid control will not be as good if applied through fertilizer streamer bars … but better than I would have guessed based on limited testing. 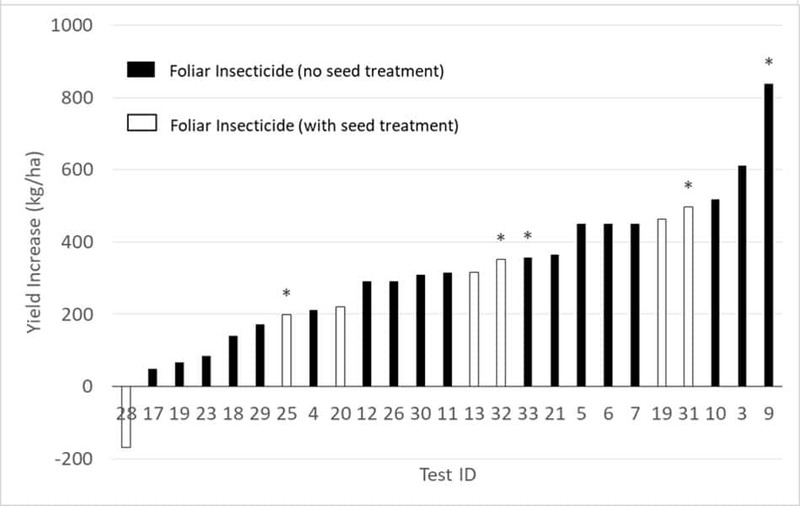 Obviously, results vary, but the yield response has almost always been positive, even when an insecticide seed treatment was used (see figure below). Keep in mind that the goal is to remove low numbers of aphids before they reproduce and spread barley yellow dwarf (BYD) across the field. This virus can cause significant yield loss when infections start early. We often see relatively high populations of aphids in earlier planted wheat and/or during warm falls, in which case, an application now may be too little too late. 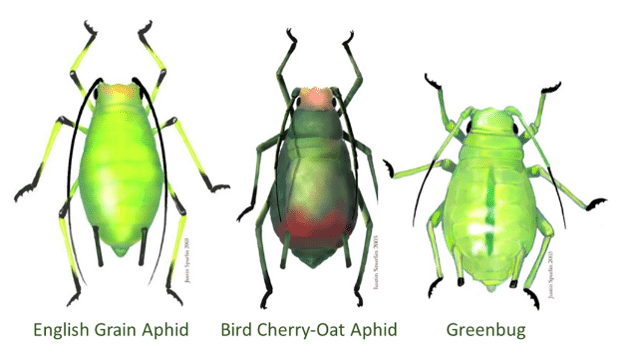 However, given the weather during the fall of 2018, aphid numbers are currently low in most fields. The graph below shows the yield response of wheat when a late winter application of a pyrethroid insecticide was made to control of aphids. Each bar represents an individual test done in Tennessee during the last decade.